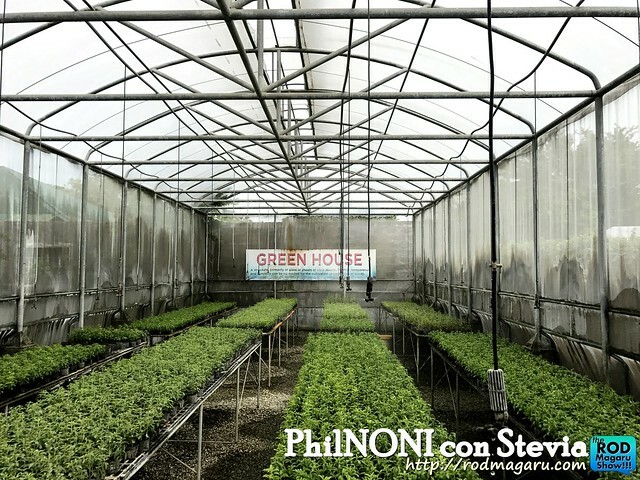 Last month, I was able to visit and join a farm tour in Bocaue Bulacan. 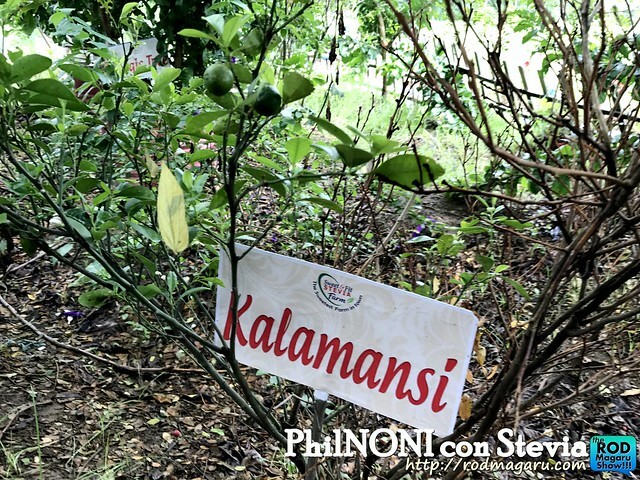 Dubbed as the Family Farm Day for Media, we were acquainted with Philnoni con Stevia, a powerful antioxidant, energy booster, immune system enhancer and cells empowering agent. That day, Phil. 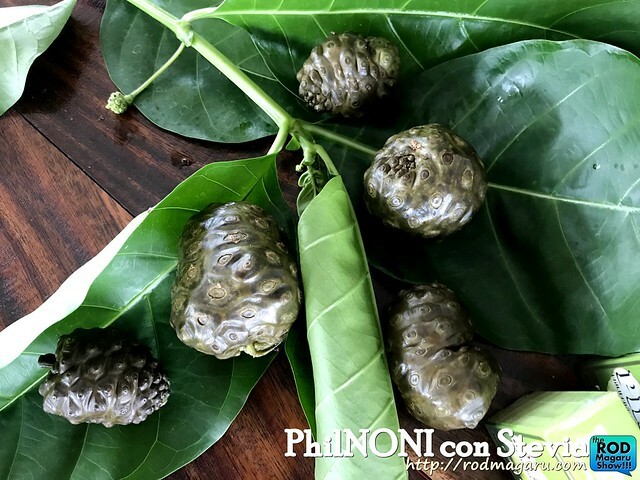 Morinda Citrifolia, Inc. (PMCI) has launched one of the world’s amazingly superb single course anti-oxidants from the ancient tropical Noni plant. This is I think the first time I have seen a Noni fruit. And surprised that it contain so much nutrients. Photo below is a Noni fruit. Years ago, I was able to partner and review a similar organic juice, the ACAI BERRY JUICE. This is similar to Acai. I have learned so much from Dr. Tito Contado, a former Professor of the UP College of Agriculture until 1978 and a retired UN FAO Senior Officer for 13 years and 7 years as Chief of the FAO Extension, Education and Communication Service. By just listening to him, I get to understand how important organic medicine is. 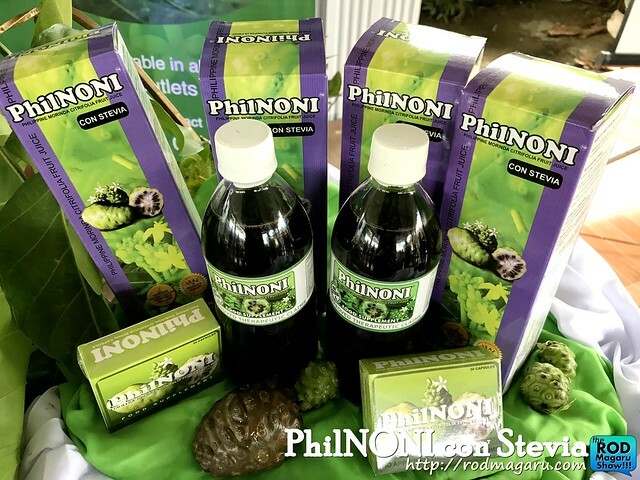 He studied and experimented the use of Noni for two years before he decided to register with the SEC in 2001 to pioneer the Noni company, Phil. Morinda Citrifolia, Inc.
With the very successful production and marketing of 100% pure PhilNONI juice for more than 10 years, PMCI conducted further studies to better improve its taste without compromising its efficacy, stability and safety. 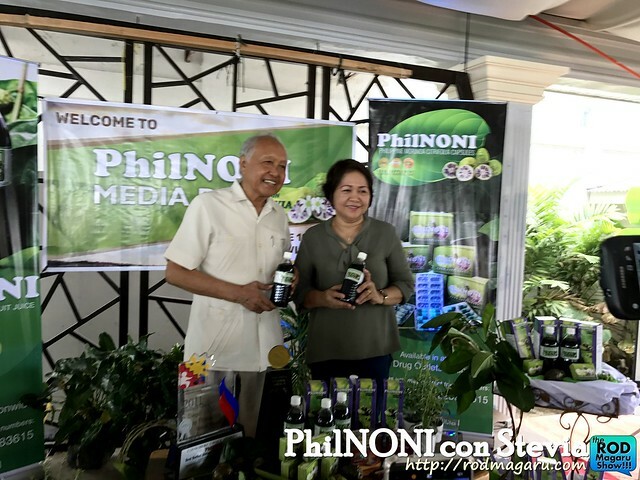 The study resulted in a partnership with Philippine Glorious Industries Development Corporation, producer of the natural sweetener Stevia, Sweet and Fit which enhances the taste of pure PhilNONI juice. Stevia is found to have zero glycemic index, zero calorie, zero carbohydrates and is 100 to 300 times sweeter than common table sugar. This makes the product suitable for diabetics and weight conscious people. 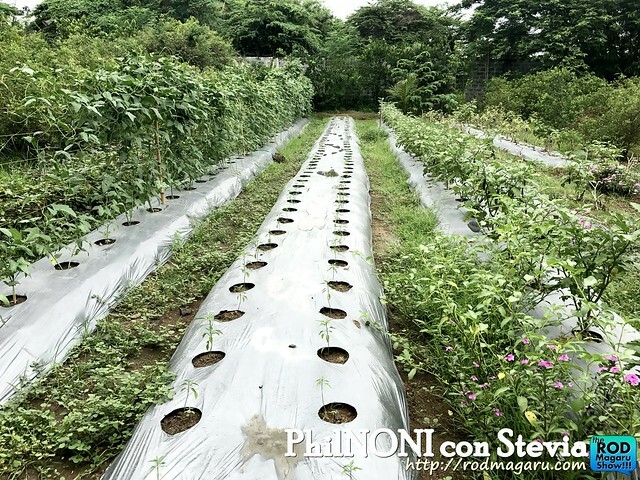 Having effectively recovered from a 6 heart by-pass in June 1999 using regularly Noni fruit juice supplement, Dr. Contado envisions to make PhilNONI brand products AVAILABLE, ACCESSIBLE and AFFORDABLE to the market, worldwide. 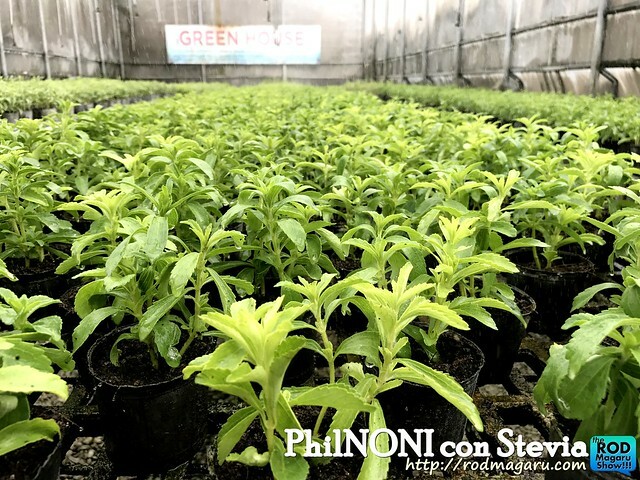 PhilNoni con Stevia is anti-inflamatory, helps normalize blood pressure and blood circulation and helps regulate sleep and mood cycle with Melatonin and Seronin. I thought we are in a science class but hey, I was enjoying the discussion! They mentioned Essential & Non-essential amino acids in Noni that lead to the formation of Nitric Oxide, Glutathione. formation of more than 50,000 proteins in the human body, fix degenerating cells, inhibit pre-cancer function and growth of cancer tumor, alleviate pain, and promotes mental alertness, among others. So there, we were able to cheers and got to taste the Noni Juice! There is an after taste but it is like wine! So I think Im gonna have to alternate this to my red wine as this will definitely make me healthy. I like how they maintain the farm into its clean state. Some of the farms I visited usually don’t have enough people to man but this one is an exemption. They also have a Green House are where they control the sunlight. 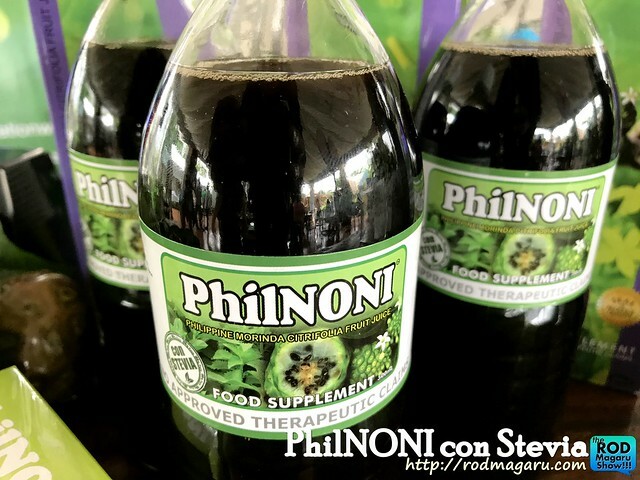 PhilNONI con Stevia, being a superb Nutraceutical (partly nutritional and partly pharmaceutical), is well known to for its multiple antioxidant functions, healthy weight loss, increase energy, slows down aging, and younger-healthier-looking skin properties. It also helps boost the immune system, prevent degenerative conditions such as: Alzheimer’s disease, Arthritis, Diabetes, Cancer, Premature aging, etc. After the event, I raid their store and bought a couple of items because that is how I believed in the products. Now my Mom ran out of Stevia so I think Im going to buy few coffee again. Thank God! PhilNONI con Stevia is now available in Mercury Drug Stores nationwide.Thank you for having us! A more detailed information about this product is available at www.philnoni.com.ph, on facebook.com/PhilMorindaCitrifolia and mobile number 09162409726/ 09223983615. Hi do you need a marketing arm, or looking for partnership. Please let me know, thanks!